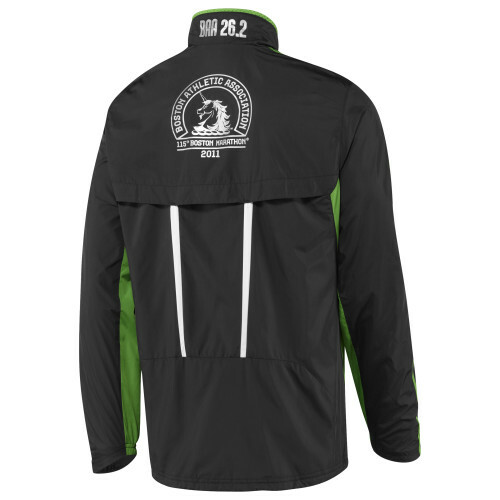 For those that have labored for years to finally get to Boston and run the finest race in the land, one of the items that most of us yearn for is the hallowed Boston Marathon jacket. Like the green jacket adorned on the winner of the Master's golf tournament, I couldn't wait to put on the BAA jacket last year...almost more anticipation than the medal itself. Stop the presses. Major controversy has once again hit the esteemed Boston Athletic Association. Adidas, the long-time sponsor of the BAA event has admitted it made a mistake and this year's jacket will be silk-screened--not embroidered which is normally the case. Troll the message boards and they are lighting up with runners from previous marathons whose jackets are "peeling" from previous years where they opt'ed to cut costs and silkscreen the jackets. I'd hate to be the person at Adidas that selected the chop shop in China they outsourced this crown jewel to. Not good. From Adidas, "By Sport_Buyer, February 17, 2011We sincerely appreciate your feedback on the Official Boston Marathon Jacket. You helped us discover an error made in our supply chain that resulted in a screen printed logo instead of embroidered logo. As seen in previous images on shopadidas.com, we thought we were getting embroidered products too. We apologize for the confusion and thank you for alerting us. 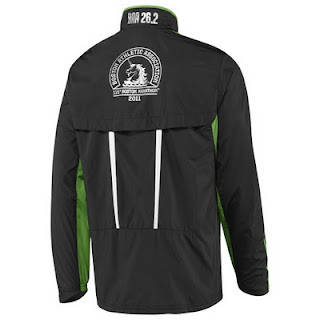 While not what was anticipated, the Official Boston Marathon Jacket for 2011 is screen printed. (2) Purchasers on shopadidas.com prior to Feb 15, 2011, we will be emailing you to arrange a credit for the difference. We have been proud partners with the Boston Athletic Association for many years and value deeply the event and our relationship with the marathon and its participants. We look forward to seeing you at the 115th Boston Marathon." Is this the same person that consulted the NFL on refunds for the people that didn't get into the Super Bowl? Sorry to be the bearer of bad news for those that have worked months and years to wear the knock-off. Ha. I will just look for it at TJMaxx where I picked up a red Boston Marathon hat because I liked the unicorn, thought it would be a great hat and had no clue it was the "official" hat...pre-running days. I'd be choked if I was running Boston this year.I think they could have done more to rectify the situation. Hopefully the attention and embarassment caused prevents this from happening in future years. Planes, Trains, Automobiles and Gators?